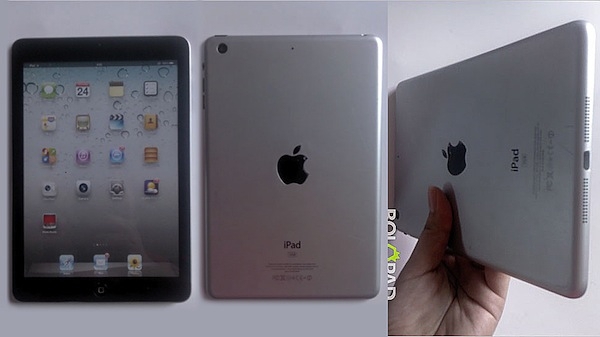 "Knowing the accuracy of the iPhone 5 leaks and the increased number of photos of the 7.8-inch iPad parts from the same sources, I have almost no doubt that this is a real, fully working Apple iPad mini. That means that the launch must be really close right now." If these are fakes, they've done an excellent job, even down to the new power connector. Not many rumors floating around about launch dates (that I've heard), besides "soon." If it really -is- available soon, and priced to attract new buyers, it should be a hit, as one would expect. I've got a Google Nexus 7 that I'm using primarily as an e-reader, but lack of 3G or 4G (or even 2.5G) is a handicap to taking it everywhere, despite the great form factor, great performance, and great wi-fi connectivity. Time to start planning the holiday gift list!? Considered tethering your Nexus? One of the good things coming out of AT&Ts shared data is that tethering is included. I actually have a Verizon capable iPad and prefer to just tether it than drop $20 for a month of bits when I may only need it sporadically. I have pretty much decided to just have phones that tether and use that for iPads, mini-pads, Nexii, and what ever else needs some data when I'm not near WiFi, rather than manage an assortment of individual pay as you go data plans.